Last year I had a couple of ideas for projects that I wanted to do. I really needed a do everything fixed that I could tear about on in the mud and strap bags too. 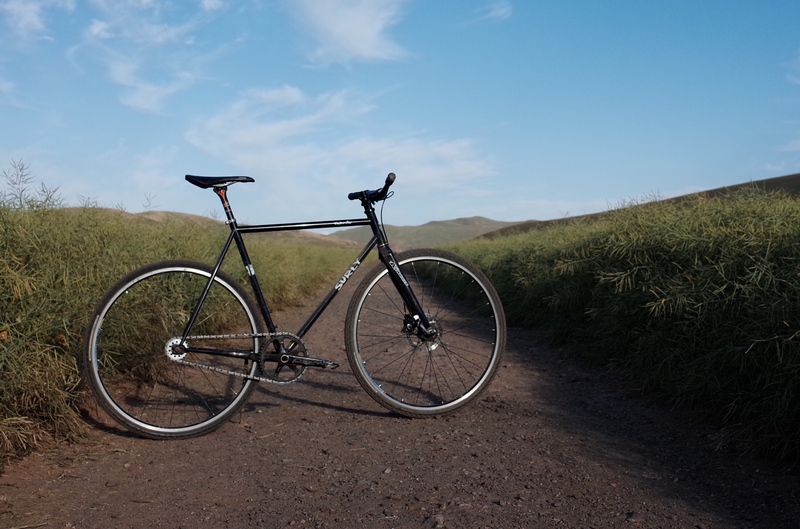 I also wanted a geared adventure bike for when fixed offroad would be no fun because of big hills or big miles. I sold my Genesis Day 1 which I was never happy with and bought a Steamroller and I built a Pompetamine with some gears and risers. For the most part they were successful and I have enjoyed many miles on these bikes. However I got a little carried away, fell down the eBay worm hole and ended up buying a few extra frames. In all this excitement a lot of attention and moneys got diverted away from actually finishing these projects and general maintenance for existing bikes. 2018 has brought a New Years resolution of no more new bikes and lots of finishing existing bikes. Less N+1 and more N/finish1. This year will be a year dedicated to finishing these bikes and showing some love and upgrades to existing bikes that have been sidelined. Thought I would make a thread to keep track of progress and in case anybody happened to be interested. Feel free to comment or roast as you see fit. The ratty one that I ride almost everyday and do fun things on. And the clean one that I rarely ride. With the recent acquisition of another frame early this year the selling plan has been resurrected for monetary and flat space purposes. The plan is two will become one, get some upgrades and free up some parts and money to get the next build underway. 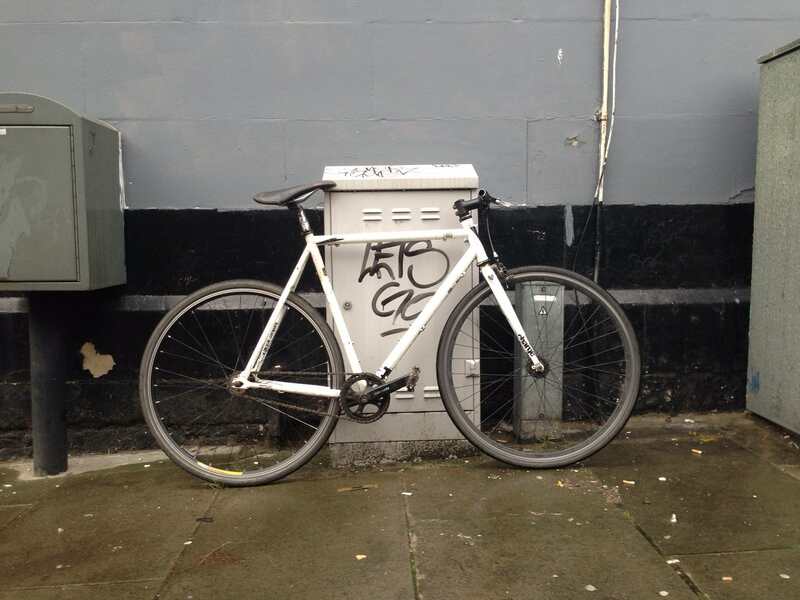 The nice one is nice, has mudguard mounts and decals. 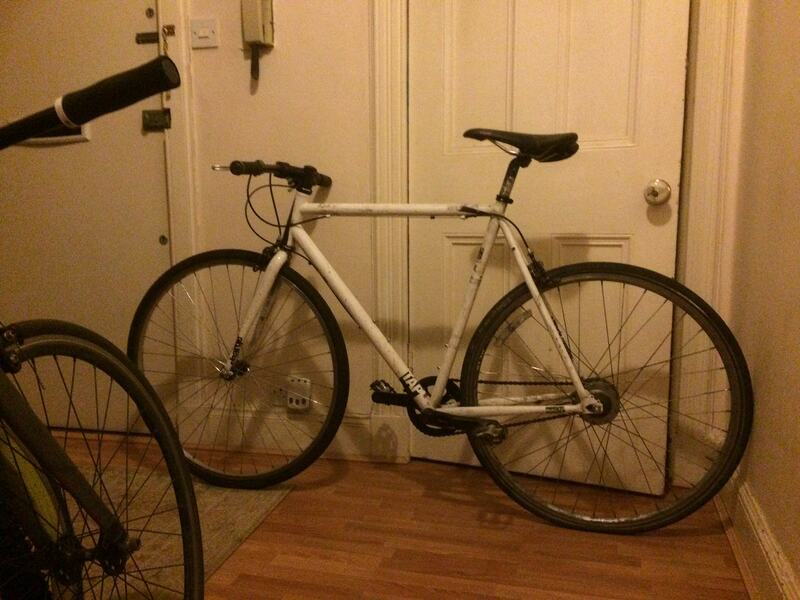 The ratty one is a bit scuffed, doesn't have mudguard mounts or decals and has the seat post seized in it. I will have a go at it myself following Sheldon Browns wisdom steps. Should that fail, there is apparently a local seat post releasing wizard so worse case scenario will hopefully be paying him some money. 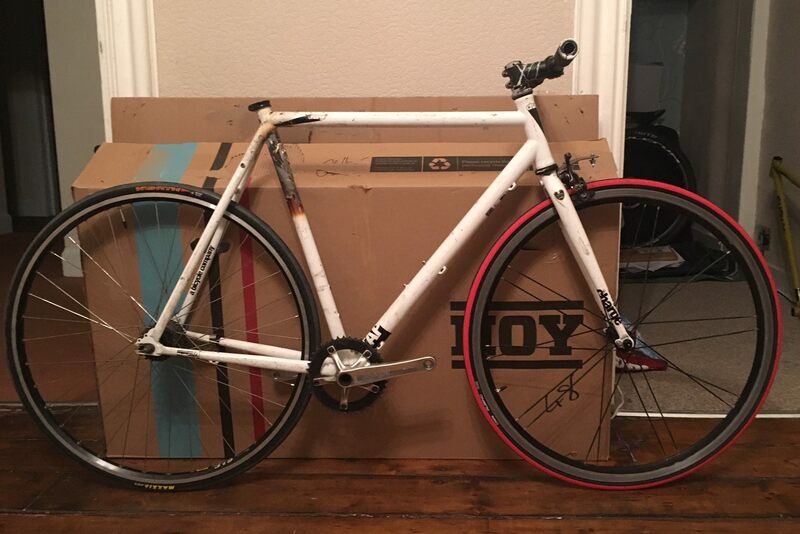 Do I sell the nice one, get more money, release the seat post and possibly attempt a sporty rattlecan DIY paint job. Or use the nice one, and sell the tatty one for less, either with the post in place or go through the hassle of releasing it pre sale? There are bits that can be done in the meantime. As rim brakes are dead and pretty lack luster offroad at the best of times I am binning the road caliper and upgrading to a disk brake. This means that I also need to upgrade the fork and front hub. 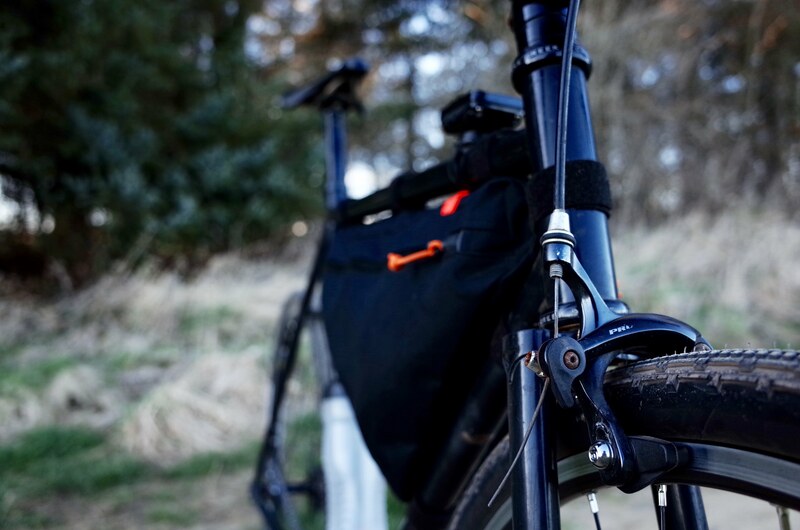 I have a Lynskey Endurance fork that I bought off facebook and currently getting an Alpkit Love Mud dynamo (eBay) built into an Open Pro (also eBay). I also have an old Avid disk brake in the parts box that hopefully still works. Last things I need is the light which will probably be a Supernova E3 Pro 2 and a non dynamo disk hub to be built into my current wheel for when I don't want dynamo lighting. 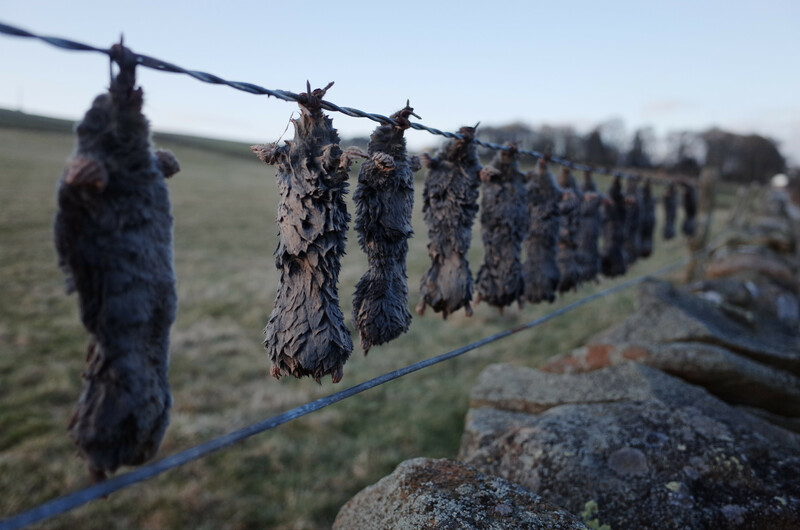 Went for an excellent pedal to a bothy on the tatty one, the countryside is a weird place. Been having a think and the scruffy one seems like the logical one to keep, mostly as I probably have a guaranteed buyer for the nice one. Plus scruffyness might encourage a sweet rattlecan paint job to jazz it up a little. Wheel will hopefully be built over the weekend. This now leaves me with the next task which is to remove the seatpost. 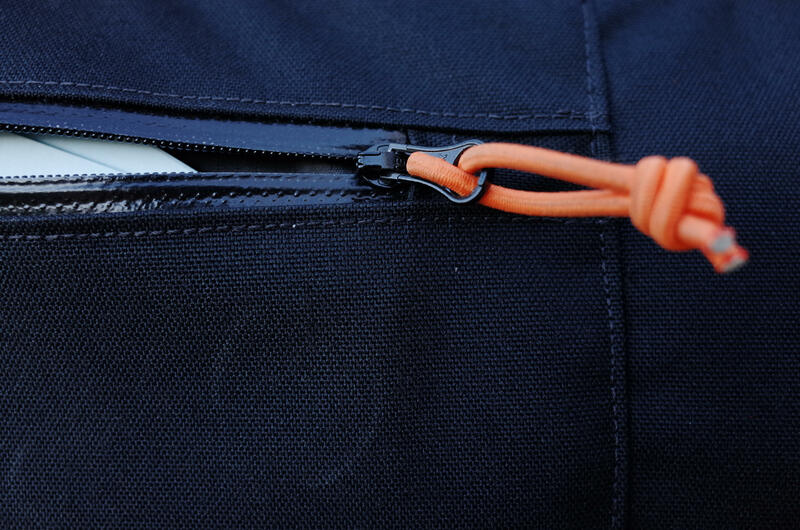 Has anybody had any luck with releasing products like Shock & Unlock? If I am being overly optimistic I will just give it to the seatpost wizard and hopefully magic will happen. I have heard good things regarding Plusgas. Just need to wait for this snowmageddon to pass over and I might be able to get some delivered. Unfortunately I dont have a dremmel to my disposal, could resort to hard work hacksaw method. If penetration oil doesnt succeed I will think about my options. 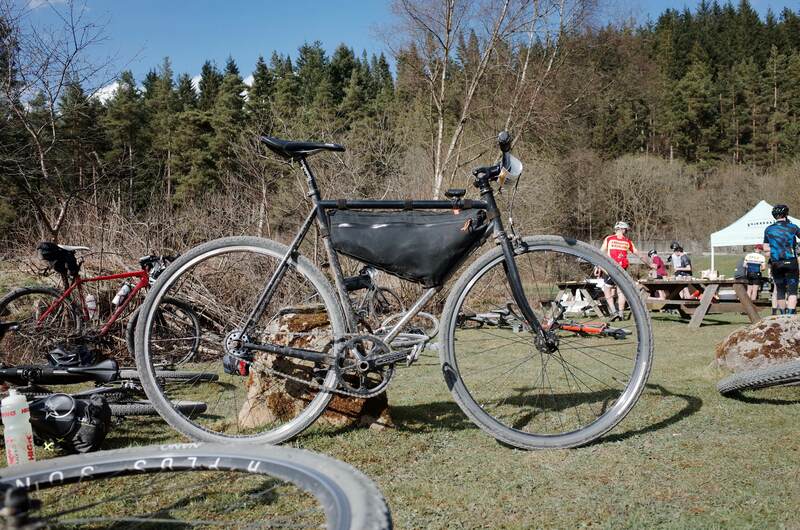 Free up the seat post and keep the tatty steamroller. You're more attached to it emotionally, and you have a buyer for the nicer one. We have been through a lot that Steamroller and me. Due to low funds there have been very little in the way of any progress. I still have two Steamrollers however some spare parts have been sold and soon progress/consolidation will be made. Until then another much delayed project has been making some progress. The winter beater was meant to be finished ready to face dark wet mornings and the brutality of Edinburgh councils salt obsession. However its summer now so nevermind. This Charge Tap came to me through a friend whose colleague had rescued it from the skip. 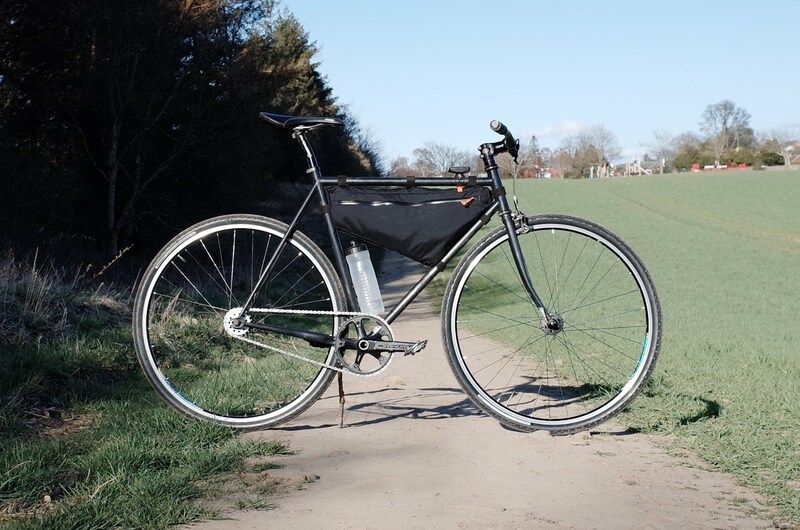 The original plan was to use as a fixed gear gravel shredder as I would be able to fit decently chunky tyres and it had bottle cages. Everything my fixie skidder didnt have. I dont know what happened to this poor bike but most of the parts were ruined, it looked as if it may have been part of a hefty crash. Apart from the seatpost which was seized and a bit too low just to live with. A little gentle persuasion and a lot of brute force nothing budged. I wasnt keen on sitting and sawing the post out so I sent it off with my father and a big bottle of caustic soda. 2 weeks that thing stewed and still it wasnt free. My dad then got a bit impatient and managed to batter a large screwdriver through the seat tube. My enthusiasm was lost and the frame was tossed into the garage. Roll on 6 months and I mentioned the above story to a friend and he was super keen to practice his welding. Nothing to lose, dropped it off with him and two days later it was all patched up to an excellent beater quality. 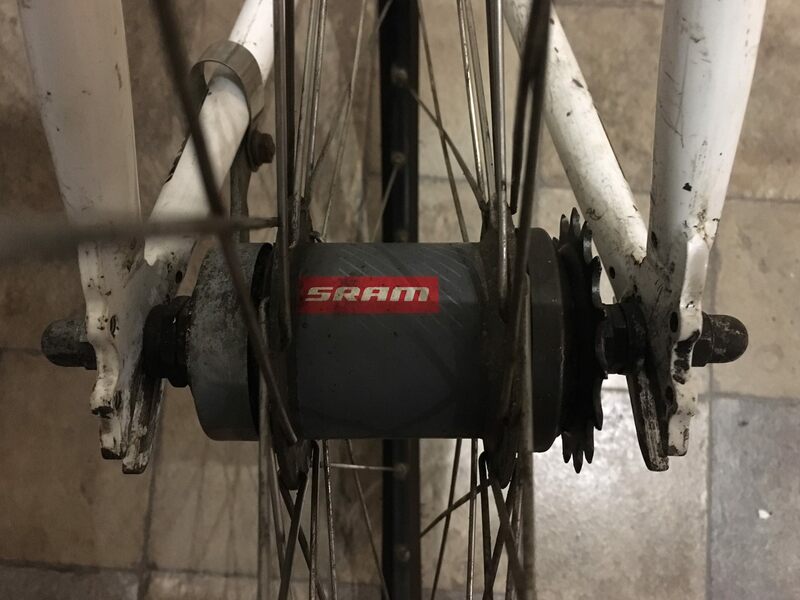 Pieced together a bunch of parts and picked up a SRAM Duomatic number for casual shoe pub and shop dreams. All that is needed now is a seat post and some time to batter everything together. The goal of consolidating the Steamrollers and converting to disc in time for the Dirty Reiver has failed. There has been a little progress, rear hub has new bearings, front wheel has been rebuilt ready for discs and i got a big 21T to help me up the hills. The scruffy one is now running very smooth ready for the weekend. 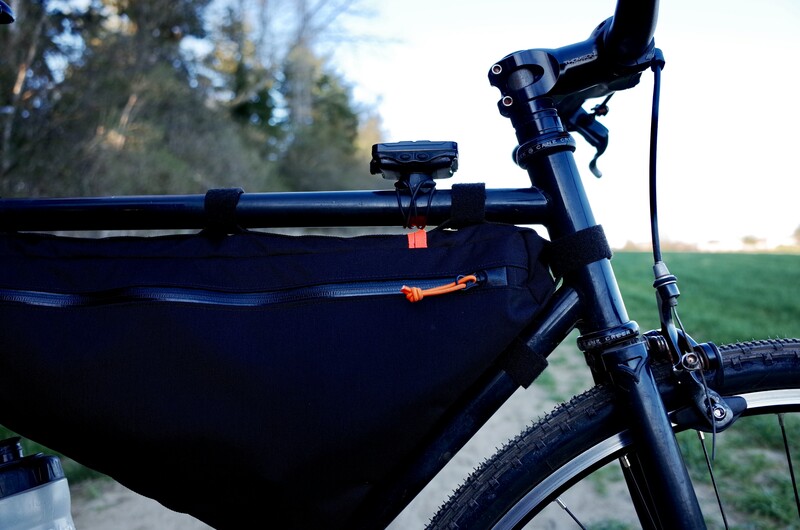 I did get a new custom frame bag which has all the space for jackets and snacks and stuff. 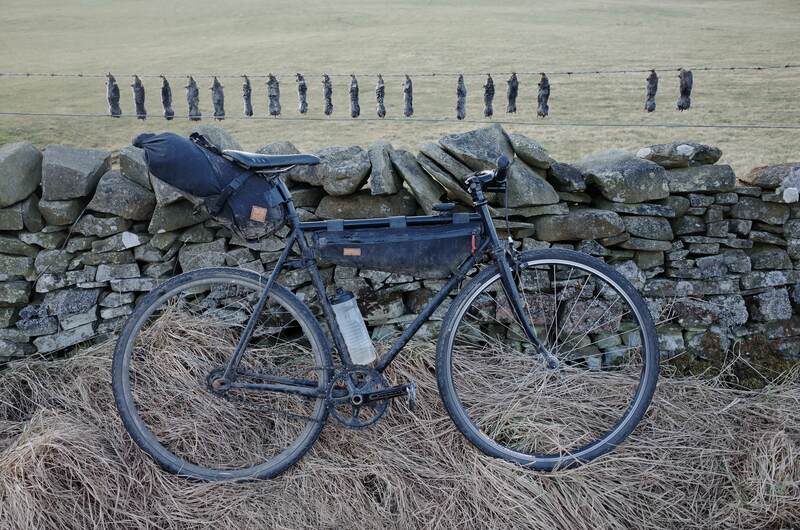 If anyone is riding the Dirty Reiver tomorrow say hello, I will be near the back. Rode the Dirty Reiver and the hills didnt kill me. Bike ran sweet and it was all round a great day. I wrote a thing here should you be interested. 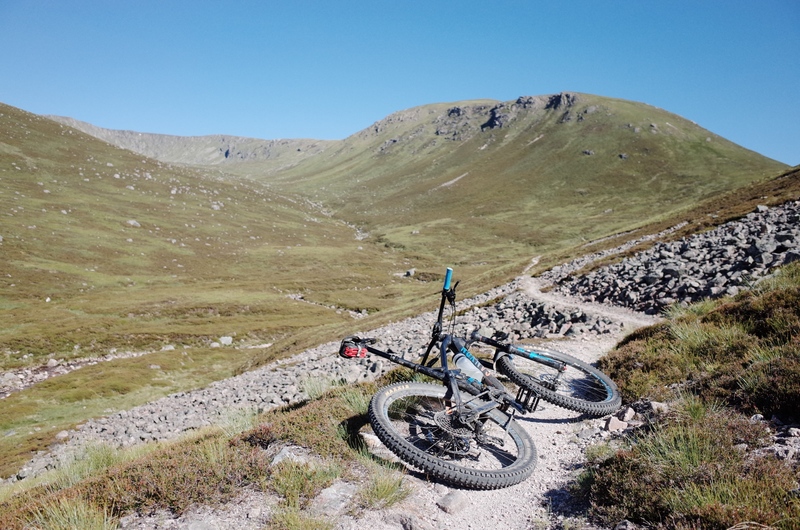 Decided to ride the Highland Trail 550 so spent a whole bunch of time worrying about bikes and bags and stuff. 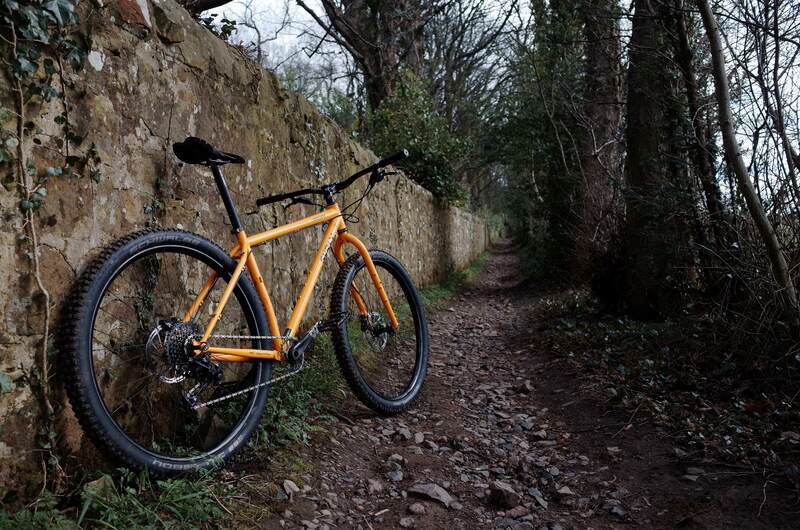 Got a lend of a lovely Surly Karate Monkey for the trip, it is a rowdy machine on the trails. 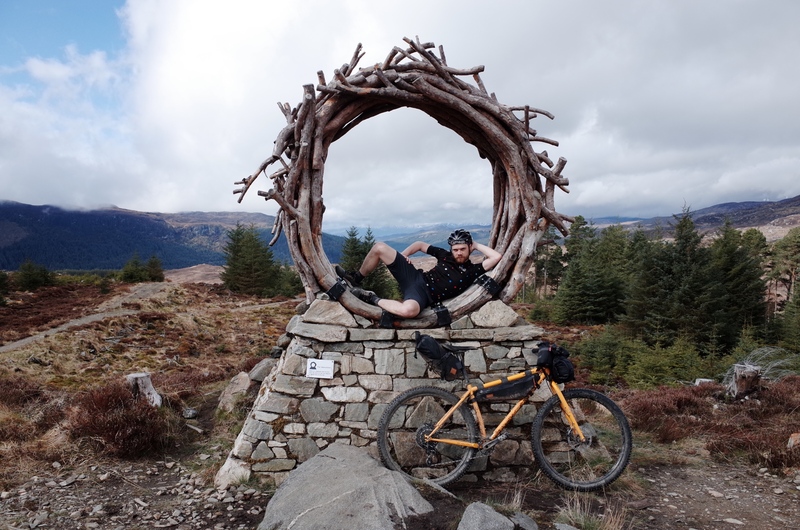 Rode my friends Badger Divide route (a gravel route between Inverness and Glasgow) on the Monkey as a shakedown ride, day 1 burst me but a good night sleep on a picnic bench sorted me out and I was feeling much better on day 2. 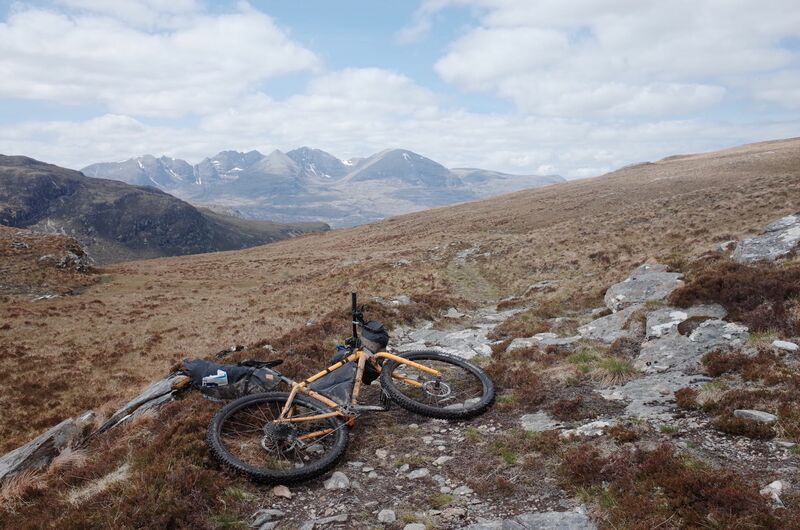 Tried to ride the Highland Trail 550, got to the 400 mile mark and had to bail out due to knee and pooing issues. Attempting the HT550 was the most immersive and intense experience I have ever had on a bike. Finally got round to replacing my super worn out drivetrain on the scruffy Steamroller. 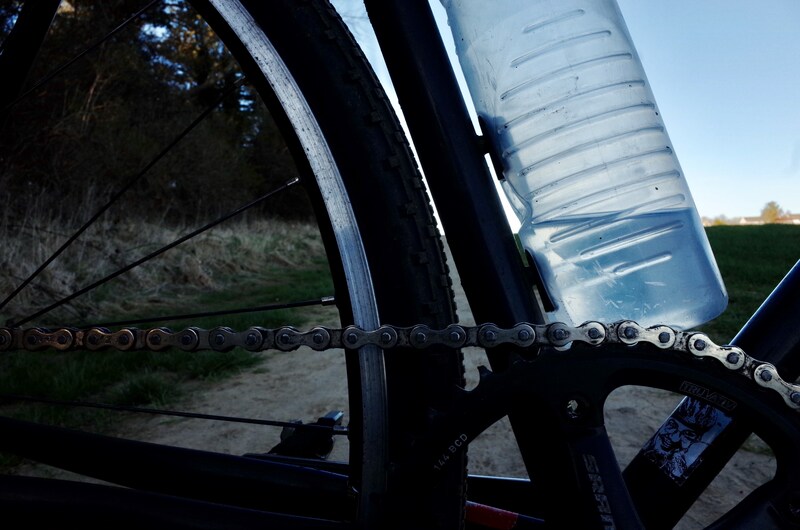 The Dirty Reiver was definitely the last straw and my chains and rings were really toasted. New Omnium ring, KMC chain and Surly sprocket and I now have the worlds quietest bike. Also the thread got stripped on my 80mm X4 so had to swap put to a 70mm X4 till I get it rethreaded. Now that I dont really have any big plans and my knee is still a little sensitive its time to get the projects back on track. Crabon bike is one Royal Mail delivery from having all the parts and I can begin building it. Hopefully have something to share before the weekend. Karate Monkey needs to go home and I have realised that the Cross Monster Pompetamine is not satisfying my tyre clearance and shred needs and I now want a MTB. TBC. As I will likely be selling the Pomp I am going to transfer the fork to the Steamroller and the disc dream will be achieved ready for Grinduro in July. Transfer of the fork will initiate the long overdue Steamroller consolidation. BONUS CONTENT, my SO has almost finished buying all the parts for her Steamroller build and its shaping up to be a dream machine. Final bits for the Dolan Seta came through and were waiting for me when I got home. Just needed to wait for the socket that should fit my torque wrench. Too excited not to make a get it going. But I am not going to let that stop me now. Wheels on and fancy chain on. Done! (Except nothing touching carbon is actually tight and it doesn't have a brake). I dont think the SL in SL42 means super light. That's a lot of memes. This is the future, one where we only experience other people’s lives through their Instagram stories cause that’s the only pictures they have. 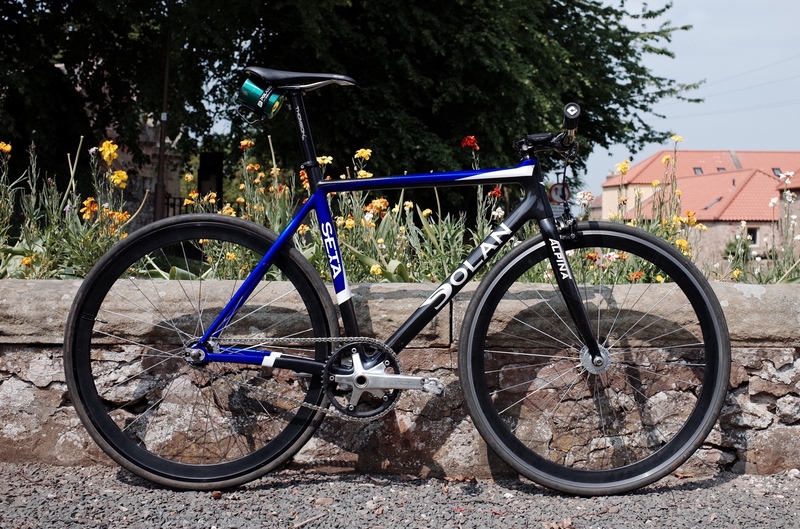 Went for a wee tracklocoffee outing to give the Dolan a shakedown. Feels great to be back on a no nonsense aggressive bike. I hadn't realised how much I missed riding bikes like this since I retired my Kagero a few years back. Frame is lovely, stiff and responsive. 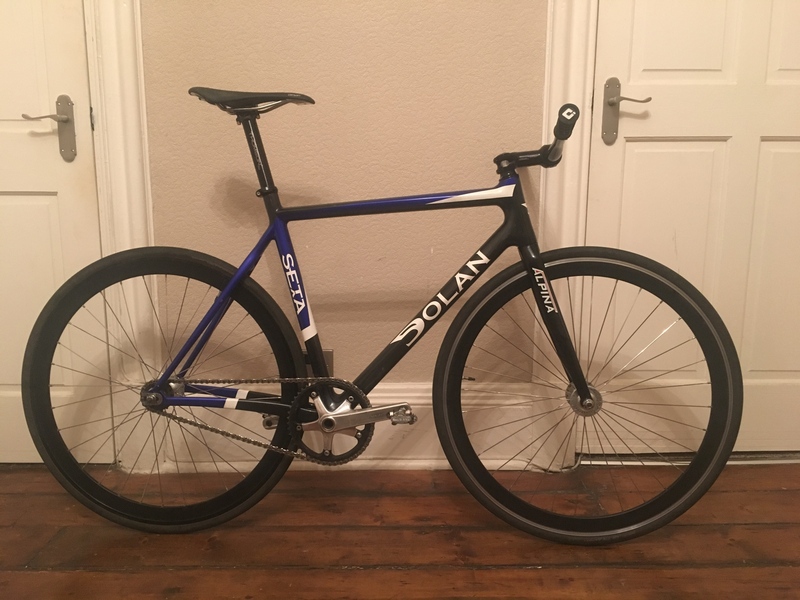 You can definitely feel the weight of the current wheels though which sort of deaden the acceleration, light weight affordable wheelset recommendations welcome. The Steamroller consolidation has finally progressed and where there was two there is now one. Test rides have proved it still rides like a bike and is still loads of fun. 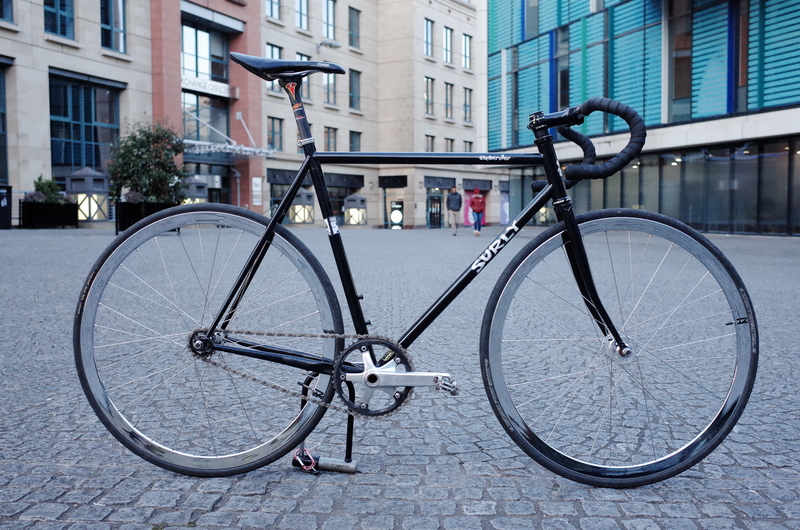 It actually rides better than I expected considering that the fork is 20mm-ish higher a2c. Its ready to rock at Grinduro this weekend. If anyone is going, come say hello as I will have no friends. 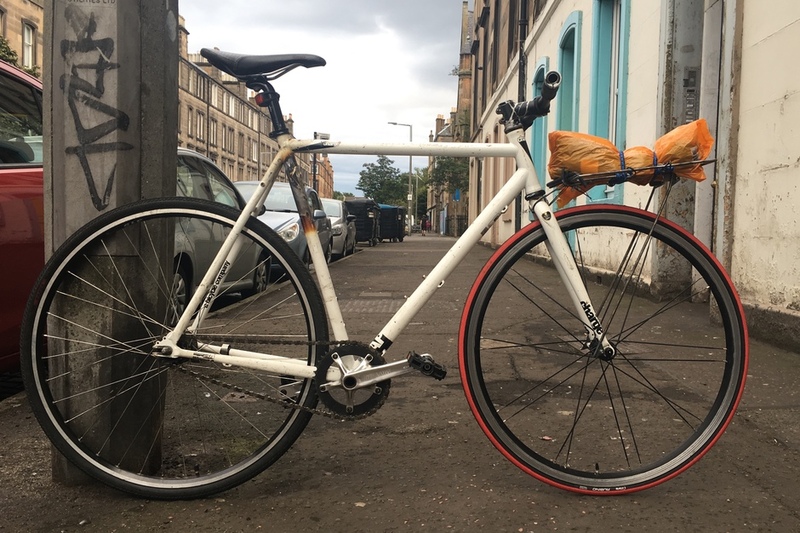 I wrote a wee bike check thing and there is more pictures here. 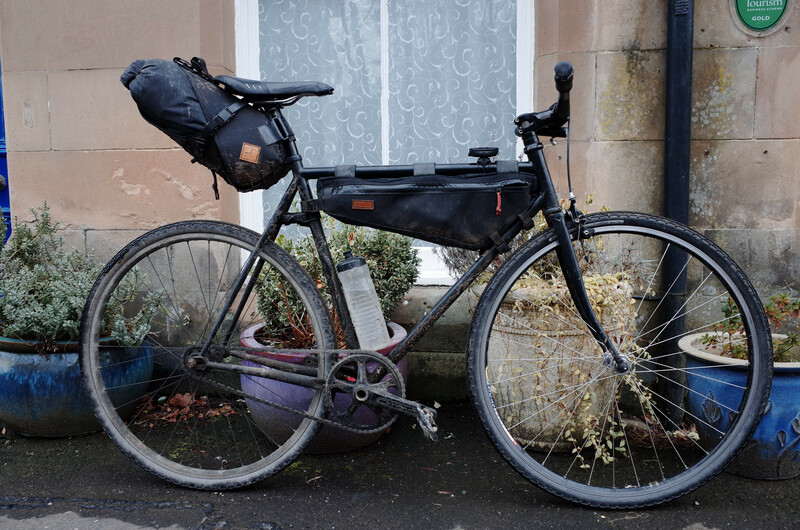 Karate Monkey has gone home and I miss it lots although I have some ideas for a replacement bikepacking mountain bike project. Pompetamine is in bits cause I stole its fork. My girlfriends bike actually looks like a bike now and will hopefully be finished as we are planning on riding the week after. 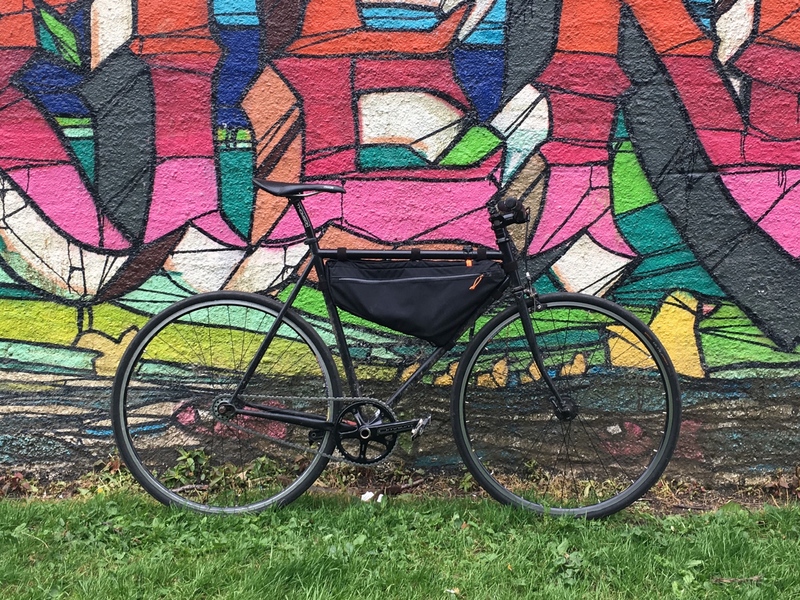 Also custom frame bag came today and is perfect. Rode my Canyon and fell in love with mountain biking again. With the threat of the on coming winter months I have finally got round to finishing the Charge beater to a point where its rideable(ish). 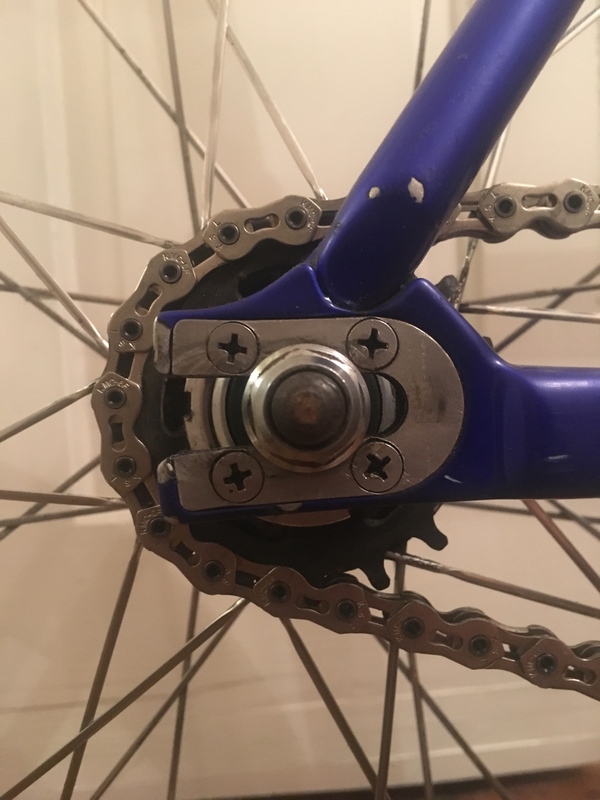 Cranks are terribly worn and wobble off after a few miles so will be changed at some point. I also need to find some appropriately cheap mud guards and a grippier front tyre. Automatic hub is excellent even if it does change at the wrong time, I believe you can fiddle about with a spring to change this. The rack life is the good life. I've modded an automatix hub before, it's dead easy and makes them much more useable.